Easy Techniques To Improve Battery Life! All batteries will fail at some point, when they have been in use for longer periods of time. But premature battery failure is one of the main frustrations people face. Common thinking is that turning devices off extends battery life, but what happens is the opposite. Devices consume more power when they are starting up, so turning them off is not such a good idea if they are going to be switched on frequently. It is important to protect the car battery from high under the hood temperatures with the use of a case or a heat shield. The battery life can be extended by keeping the battery charged at all times. Electrolyte levels will have to be checked frequently during the hot months. A recent study revealed that relocating the battery outside the engine compartment has increased its life by almost eight months. Car manufacturers are relocating the starting battery to the passenger compartment or the trunk to avoid under the hood temperatures. 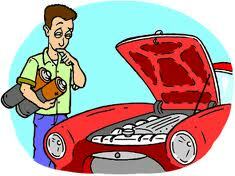 It also helps to use wet batteries vented to the outside or cells that do not produce gas when recharged. Based on the driving of each individual, some batteries are undercharged and this leads to sulfation, where lead sulfate gets accumulated, reducing the battery capacity. An external battery can be used for charging. For any battery, the most important factor to consider is the temperature. Ensuring they are not exposed to too much heat can extend the life of a battery. It is common sense that high temperatures lead to faster chemical reactions. They need to be watered more often with only deionized or demineralized water. However, rain water is a good substitute in an emergency. In addition to the temperature, a reduction in the number of discharge/charge cycles significantly improves battery service life. In extremely cold climates, the car battery needs to be continuously kept fully charged when not in use. Battery life can be increased for iPods, cell phones, laptops etc. by lowering the brightness when not necessary. For example, when using these devices in a dark room, it is not necessary to set the brightness to 100%. The brightness can be lowered enough so that the screen can be seen without exerting any strain on the eyes can be done. The amount of time the backlight stays on can also be decreased. For iPods it doesn’t have to stay on for 10 seconds, 2 seconds should be good enough. Laptops can be set in hibernate mode when not in use. One most important point that not many people are aware of is that turning down the volume increases battery life. Use headphones that are louder and leave the volume at 50%. Background applications are power hungry monsters. Stop everything that is not being used. Defragmenting the hard drive once in a while helps decrease file scatter on the hard drive and uses up less power. Send the computer into standby mode after a certain period of inactivity as it conserves battery. Although, standby resume also uses some power but not as much as starting up. Interestingly, leaving a CD or DVD in the drive can decrease battery life, as it hogs power whenever the drive spins up. Battery life in Wi-Fi apps can be prolonged by either increasing battery capacity or reducing Wi-Fi product power consumption and through control methods. It is easy to increase battery capacity; however, due to technological limits, it may lead to an increase in cost and size of the battery. That brings us to the option of reducing power consumption, which can be done by prolonging the standby time and shortening the time of the active cycle. You can also turn off the WiFi on the iPod when not in use as it consumes a large amount of life. These techniques of low power consumption can improve battery life dramatically. Most of them are common sense usage techniques and can easily be made part of our daily lives. The Benefits Of Lead-Acid Batteries! How To Save Money With Earth 4 Energy?